Moderator: Peter Ingersoll, CEO, Safe Harbour Equity Inc. If you're an independent self-storage operator, is it inevitable that will you will one day sell out to a real estate investment trust? These days, much discussion revolves around the competitive advantages of scale in our industry, such as Internet-marketing success, employee morale and camaraderie, streamlined operating systems, and vendor buying power. 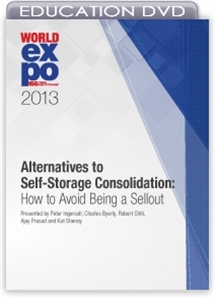 This session explores alternative ways of gaining the same edge without having to "sell out." Our presenters discuss strategies smaller operators can use to compete.